I successfully fasted yesterday. As you recall from a previous post, I was up 4 pounds and was worried the trend would continue. I did a 36-hour fast where I eat dinner one day and resume eating the next. While I am not always good at keeping my dinners at 500 calories, I think fasting does more than create a calorie deficit for me on one day. When I am fasting, I usually have less tolerance for over-eating at other meals. It also just feels somewhat cleansing to have less salt and waste floating around in my body for a day. It was easier! Intermittent fasting, for the past three years, has allowed me to eat whatever I want 80% of the time while maintaining my weight. It is mentally freeing, because if I don’t want to, I don’t need to watch what I eat on five days of the week. Because of that, I ate a lot of junk and I was a slave to cravings. Especially on my fast days, I might eat at 5 or 6 pm, and then by bedtime I wanted a bag of M&Ms. And sometimes I would have it. Yesterday, I was at my boyfriend’s daughter’s volleyball tournament all day and did not get home until 7pm. I was able to ward off some jitters with water and black coffee, and I was fine. I had a whole 30-compliant 500 calorie meal and went to bed. So, fewer cravings and I was able to keep from eating until quite late in the day. It was a good fast day. I couldn’t use my normal fasting “tools.” Another reason I’ve been feeling bad about the direction my health has gone since getting my weight under control with fasting is the crap I put into my body on fast days to distract myself from food. I will chew a whole pack of sugar free gum and have two diet sodas to keep myself feeling full and satisfied until dinner time. Since none of these are allowed on the Whole 30, I focused on taking in plenty of water, and had a cup of coffee later in the afternoon when I was feeling cold and a little antsy. I know you are not supposed to drink coffee after noon, but I routinely break this rule to function. I slept really well. Another problem with fasting for me has been sleep. I will often have trouble falling asleep because I am hungry, or I will wake up in the middle of the night and need a snack to be able to sleep. This has not impacted my weight significantly as far as I can tell (I am happy with where I am!) but it takes away from the true spirit of fasting. I was behind on sleep because of work, and then had the all-day volleyball tournament, so I am happy to report I slept nearly 12 hours last night…that never happens!! I will give it a few more fast days before I write about my insights on taking up fasting. I generally think it is hard to start whole 30 and continue fasting–it was helpful that I gave it up for 2 weeks. I also think people starting fasting for the first time ever may need to max out their weight loss on whole 30 first, as I was already maxed out on weight loss from fasting. Slow and steady is really the name of the game. I had my first start on December 28. I am on break from school, so things went pretty well with the cooking, but then New Year’s Eve hit. I went to a birthday party with my boyfriend and did pretty well, sipping black coffee and eating a banana while he drank beer. Afterwards we went to his house… and his kids had made all sorts of treats. I think the moment I decided to cheat was when he showed me a chunk of blue cheese he was going to put on the steaks. Two of his friends and two of my friends were coming over, and I knew refusing junk food on NYE would not be cool to them (I am not overweight, so….). I ended up having: 2 beers, chips with taco dip, blue cheese and bananas foster crepes. Needless to say, I felt SICK (this is not new, I always feel sick when I eat junk food). It was not really worth it for the food experience, but probably for the social experience. I justified it by reminding myself that initially I had planned on starting January 1. But then I re-started on January 1. And things have been going well since then. The first go around I felt achy and foggy on Day 4, but this time I haven’t had much of that. So I think the first four days were not a complete waste. I have been eating a lot, and don’t really feel that I have lost any weight, but I realize that may not happen. Over Christmas I re-started kickboxing and strength training through Farrell’s, a gym that is mainly in the Midwest. Some days the kickboxing is harder than others, although I have found that if I have just eaten prior to going, I don’t get stomach aches like I do with regular food. I am going to do a goals check-in every few days, just to be mindful of how I am progressing. Have more energy: On Sunday, especially (2 days ago), I almost felt manic. I had tons of energy and was in a great mood. Yesterday I felt kind of slow, but still in a great mood. So far, so good. Sleep better: I have had two nights so far where I slept like a rock. That usually only happens when I am very tired, and seeing as I have been on break since October, it has not been happening much. Get rid of flab: Hard to tell since I have not been wearing work-out clothes very often. Decrease itching/sensitivity to certain fabrics: Has improved somewhat. Not completely gone. 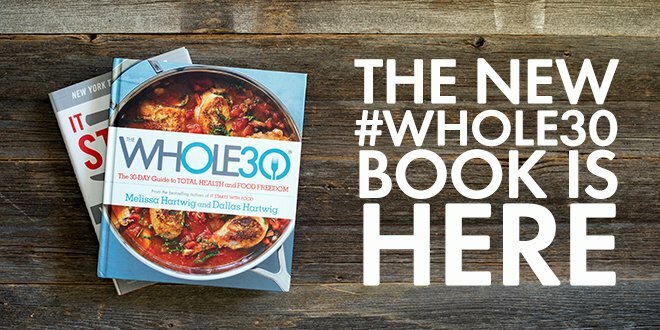 How many of you are just starting the Whole 30? What have some of your greatest struggles been so far?